Flickr to download all my new photos? And how can I know how much space have got the new photos? I have already started downloading material that I have on a Flickr account. I used the album zip download process as all of my photos are organized in albums. 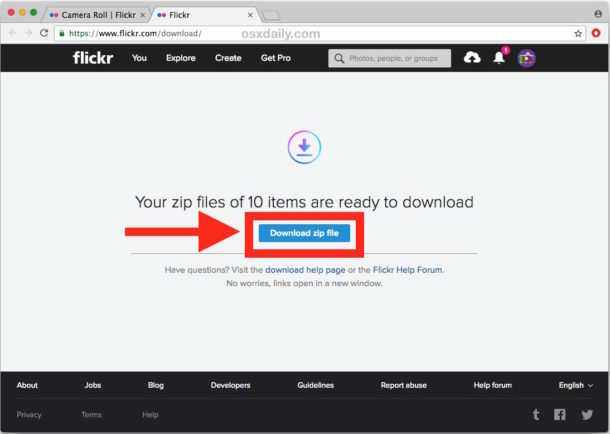 Even a small album of 15 small sized photos takes 3 – 5 minutes to prepare for zip download. Once in zip format, downloading is very fast and opens quickly on my MAC. I have some albums with over a 1000 photos. I have no idea as to how long they will take to prepare for zip download. One note. Any verbal descriptions with a specific photo are not included in the download. The photo as unzipped includes minimal identification. My account is mostly historic photos and this change by Flickr is very unsettling. I have contacted them, but received a comment that can only be described as PR BS. Flickr is now owned by Smug Mug and I told them that we really didn’t need two Smug Mug websites. Smug Mug appears to be controlled by a group of photographers that consider themselves to be artistic and professional; ie: Smug. It appears that they are in the process of merging the two websites. Currently, I am looking at using Shutterfly which still has free unlimited storage, but it includes more advertisement. 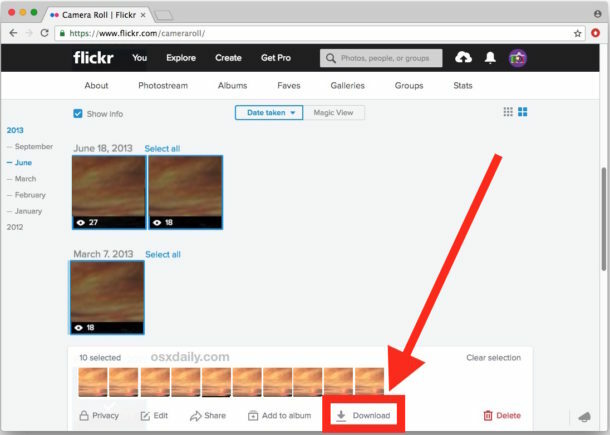 Wow, great tip, now THAT is a useful tip to download so many Flickr photos at once!. Thanks Edward!! I wonder why they don’t put that in the other Flickr photo download section? Good to know Flickr users have various options though, so thanks again! this is imho definately the best way since you get ALL THE DATA including meta data, comments, likes, mail and all that. even though it’s in a JSON format. you somehow have it… and probably someone will somehow release a script or tool to turn this into a little flickr archive for your own server sometime. And we no not need Yahoo anymore to sign in,Yippie! 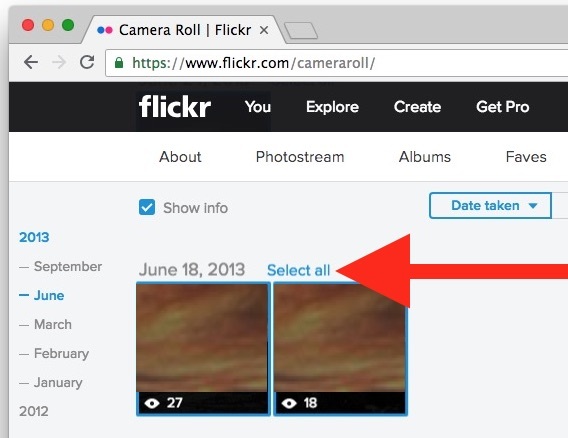 Flickr member since 2006 remembers 200 photos being the max for free accounts and enjoying seeing photos from users’ cameras instead of websites promotions. 1000 is plenty, which I consolidated from over 4K in august. So far i like shmukmug because yahoo turned a great website into a uncontrolled circus.